Outerbanks, NC. Looked around online couldnt really find anything definite. Would be my assumption, too. Sometimes the hourglass marking is not complete. Black widow. We get em around here too. Definitely a widow. The lighter markings on the side make me think it may be a juvenile. Juveniles tend to have more striped bodies. Did you know that more people die from black widows than rattlers every year? That would be a hellnoburnthemfhousedown spider. 240 LTS, myyellas2k and YFMF like this. The folks from Florida are experts on insects that can kill you, the whole state is crawling with them. The folks or the insects? NoBoatShoes and DirtyMikeAndTheBoys like this. Managed to get better pic of his back before he met his demise. 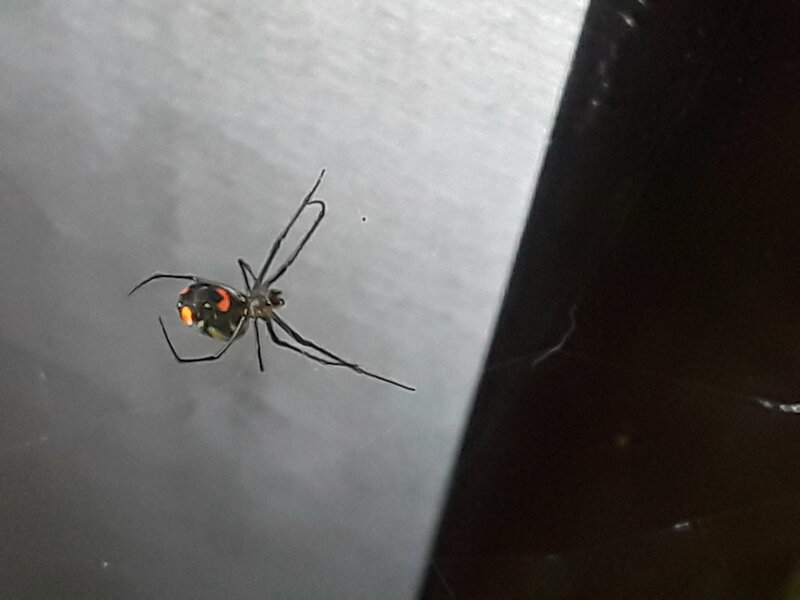 Not a black widow. Juvenile of what is often called a Banana Spider or Golden Orb Weaver. If you didn't kill it, watch it as it grows and changes. Throw bugs into it's web. That's the same spider as the first photo? Shape and color looks different in those two photos. With that second photo, I'd have to agree that it's not a widow. Angle of the 1st photo made the body shape appear different than it actually is. 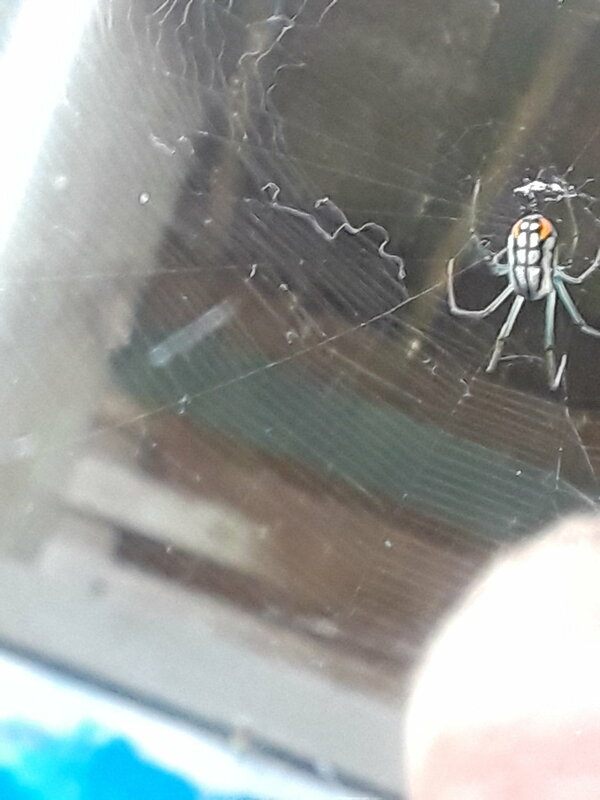 I don't think it's a Golden Orb weaver, though. Looks to be an Orchard Orb Weaver.